Prior to closing, Zellers was one of Canada's most well know retailers. There thrifty and budget friendly online site was in desperate need of an overhaul. 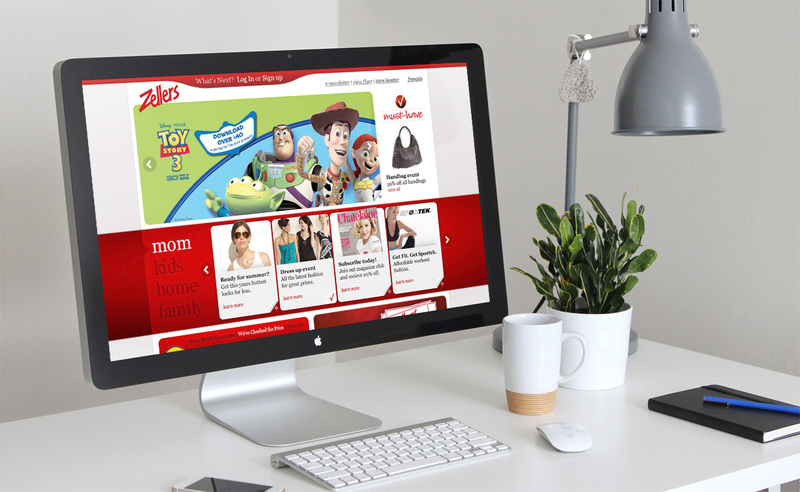 The goal of the Zellers website was to drive more customers in-store with the use of sales and promotions. 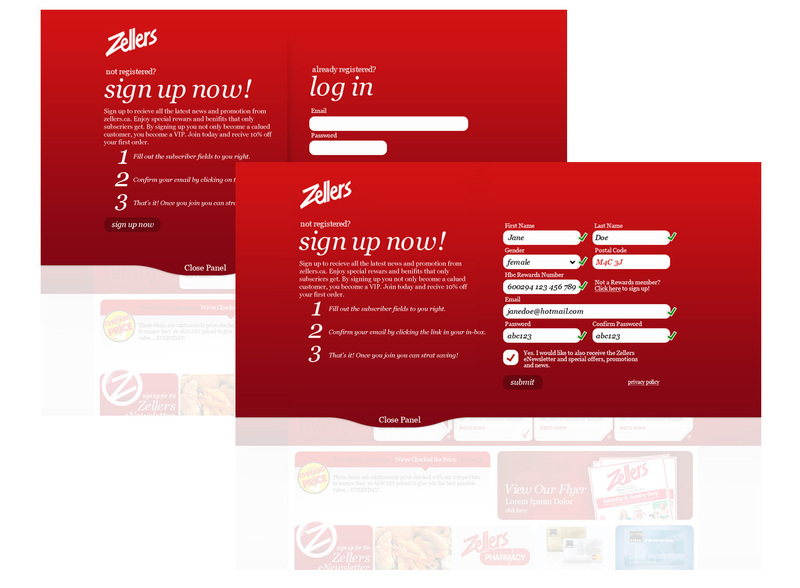 The idea was to have users create a custom profile on zellers.ca which housed there personal preferences and product needs. The site featured a 'What's Next' panel which usesr could add custom selected items and promotions and then receive personal emails and twitter posts based upon their selections.